I’m delighted to announce that a long-awaited special section on “The Renewal of Humanism in Psychotherapy: A Roundtable Discussion” is now available both online and in hardcopy in the APA journal Psychotherapy. More info on it can be obtained at the Division 29 Psychotherapy website. 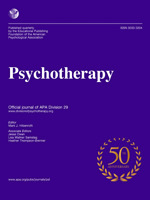 This section is highlighted by the contributions of leading theorists across the therapeutic spectrum including Lillian Comas-Diaz (multicultural therapy), Dave Elkins (research and training), Bruce Wampold (research and training), Robert Stolorow (contemporary psychoanalysis), Steven Hayes (contemporary cognitive-behavioral therapy-ACT), Jurgen Kriz (contemporary humanistic practices in Europe), Alfried Langle and myself (co-editors of the section). In my view this is a document of historic proportions that can and should be drawn on to show not only the viability of humanistic practice principles within our subdiscipline, but also the viability and indeed flourishing of those principles across diverse sectors of our profession. One implication here is that the humanistic or existential integration of therapy is perhaps not so far afield, based on these testimonies. Beyond that, the section should provide a basis for policy-makers both within our profession and without to seriously reconsider the prevailing trends toward technical prescribing in the theory, training, and application of therapeutic services. My hope is that the section, highlighted by leading voices in the field, provides a springboard for many further investigations about optimal therapeutic practices and the resources to support them.